From left: Supevisors Mark Ridley-Thomas and Sheila Kuehl; Dave Roberts; Supervisors Don Knabe and Michael Antonovich. 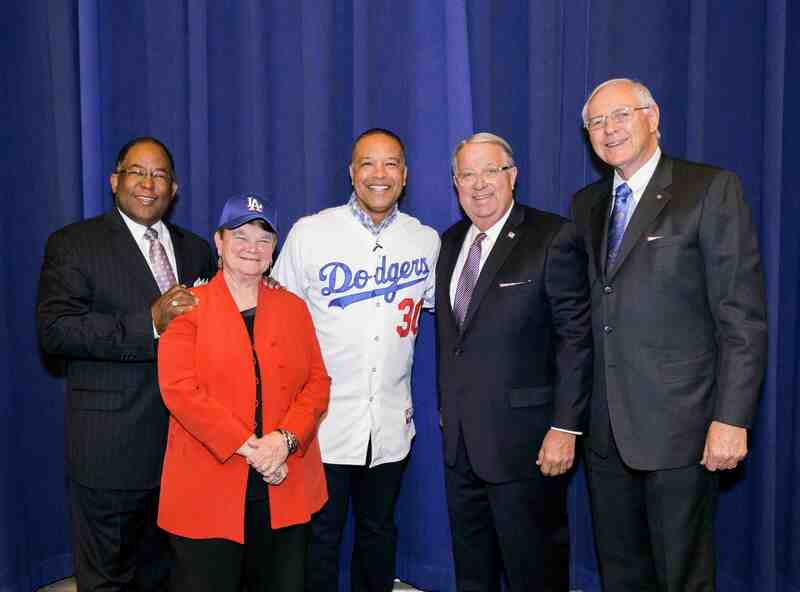 Dave Roberts, the new manager of the Los Angeles Dodgers, was congratulated by the Los Angeles County Board of Supervisors on Jan. 26. 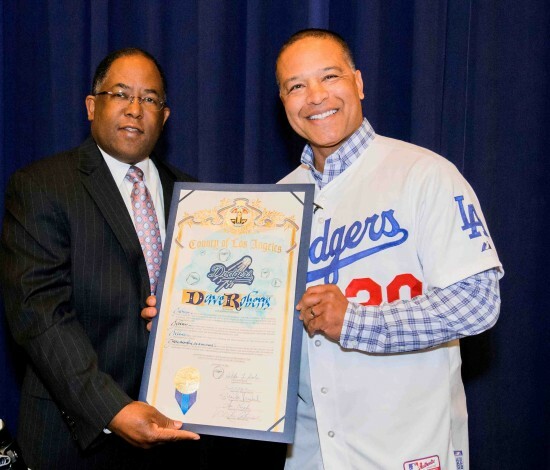 Supervisor Mark Ridley-Thomas said that Roberts, who is of African American and Japanese descent, is “making history” as the first minority manager for the Dodgers and one of only three in Major League Baseball. Ridley-Thomas was joined by board colleagues Hilda Solis, Sheila Kuehl, Don Knabe and Michael Antonovich in wishing Roberts well. He said that “it means a lot” to be listed as a baseball pioneer along with the likes of Jackie Robinson, who became the first African American player in the majors when he signed with the Brooklyn Dodgers in 1947; Don Newcombe of the Dodgers, who became the first black pitcher to start a World Series game in 1949; and Maury Wills, the first MLB All-Star Game MVP in 1962 and the third black man to manage a Major League team. “Whereas, he returns to the city where he has played at the collegiate and professional levels. Dave Roberts receives a Board of Supervisors proclamation from Supervisor Mark Ridley-Thomas.